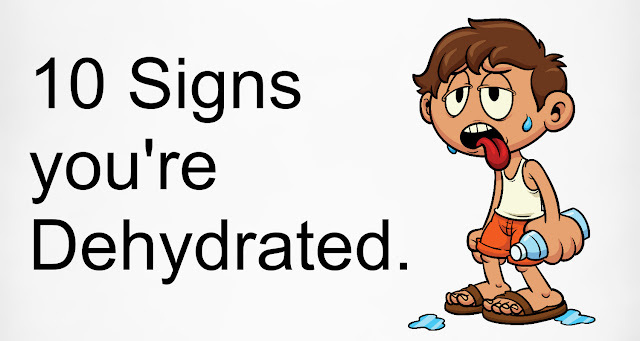 google-site-verification: google8d8438b214143f71.html Beautiful Quotes: 10 Common Signs Of Dehydration. Number 3 Will Shock You! 10 Common Signs Of Dehydration. Number 3 Will Shock You! If we were put on a deserted island with fresh water but without any food, we would survive up to eight weeks. The situation changes drastically without water, though, and in most cases, a human cannot survive more than 5 days.Without water, our organs start to deteriorate and our bodies shut down. This is because the human body is made up of more than 60% water and the brain itself almost 85% water. Of course it is unlikely that we will ever be in this extreme situation but many of us suffer from various forms of dehydration on a daily basis. If you seem to suffer from frequent dull headaches and you are otherwise healthy it is very likely that you are suffering from a mild form of dehydration. A study by the Journal of nutrition found that even 1.36% dehydration could potentially cause headaches. Maybe it’s time you opted for a glass of water instead of that 3rd cup of coffee. Our bodies sometimes get confused. We feel hungry, we crave certain foods but in reality, our bodies are actually screaming for water. If you are struggling to stay away from the vending machine perhaps you might actually be thirsty instead. In hotter weather, we are more likely to overheat and become dehydrated pretty quickly. This dehydration can lead to an imbalance in important minerals and electrolytes in our body. Unfortunately, we feel this most when we cramp in the middle of a run or gym session. Combat the cramping by ensuring enough fluid intake prior to a run and not only when the activity is taking place.